You might remember our trip to the Staten Island Zoo a while ago. We met CC the sloth and she made quite an impression on our family! She made me think that my children might possibly be descended from the sloth family; they can certainly move that way! 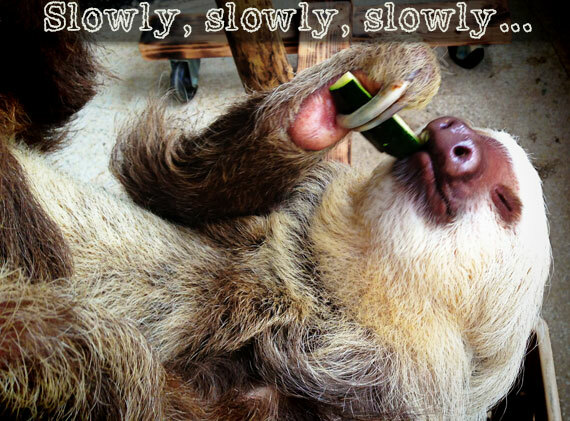 On my parents' recent trip to the Eric Carle Museum in Amherst, Massachusetts my mom picked up the book "Slowly, Slowly, Slowly," said the Sloth by Eric Carle. Like most everyone I love his books. This one really caught my eye! The message of the book is great and the language is phenomenal. I really believe that it's important not to talk down to kids. How are they going to expand their vocabulary if you don't use "grown up" words? This book has the sloth explaining that while he might do things slowly and take his time it certainly does not mean that he is lazy. He describes himself, among other words, as unflappable, lethargic and languid. What parent wouldn't be happy to have their kid use the word languid appropriately! The other sloth related item that has stood out to me since our trip is these sloth earrings from Small Grey Cat on Etsy. I have her Union Jack earrings that I wear all the time and get so many compliments on them! It's funny because I didn't think anyone would notice them because they are so understated but they have enough "pop" to them that they are noticed! 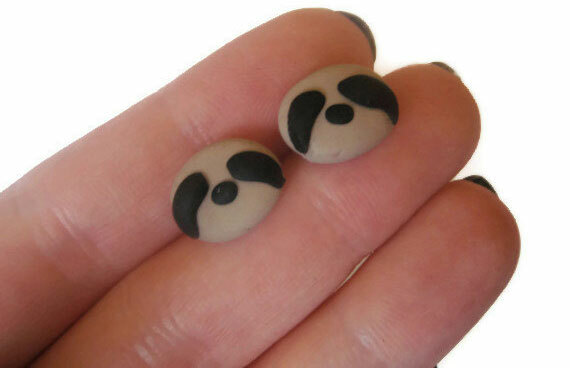 I really want to get Maya and I some matching sloth earrings before our next trip to the zoo! Update: Check out these sloth earring too! Also super cute from Small Grey Cat!